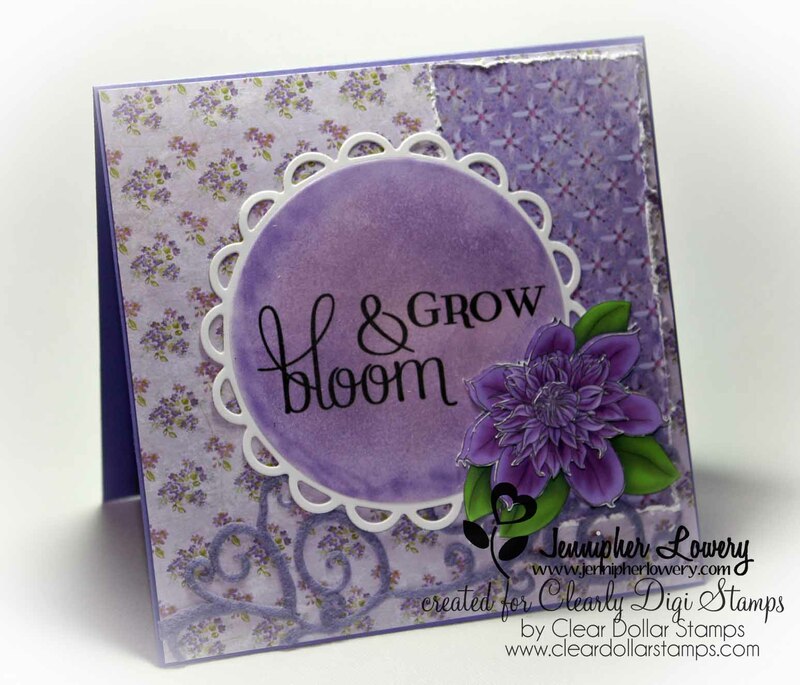 I'll be showcasing 2 of the new releases right here on my blog and you can see the rest at the Clearly iStamp Blog. Supplies: Everyone is a Genius Digital Stamp Set by Clearly Digi Stamps; computer generated sentiment; EK Success Waves border punch; Photoshop Elements. Supplies: Josephine Clematis digital stamp set by Clearly Digi Stamps; K&Co. Watercolor Bouquet designer paper; Queen & Co. felt border; Spellbinders Lacy Circles; Concord Crush Distress Ink. I printed out the extra pieces that came with this set and fussy-cut all of them out and layered them from the base up with pop-dots to create a 3-D effect. 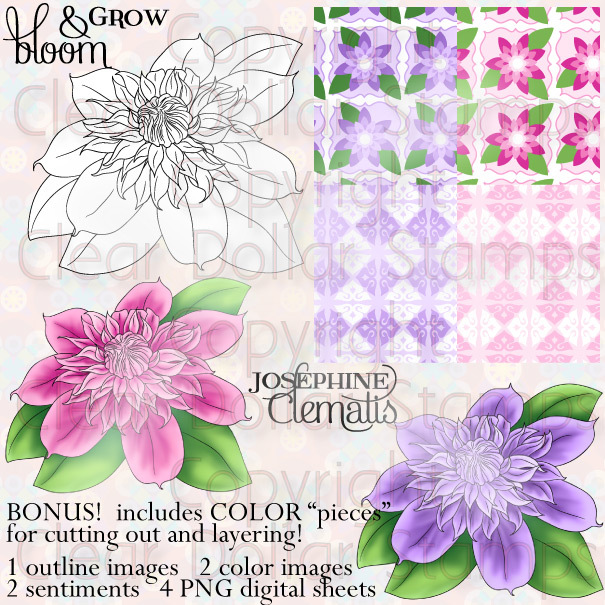 There are a ton of new digital sets being released today so be sure to stop by Clearly iStamp to see all the releases and fabulous samples from the Clearly Digi Stamps Design Team. Thanks for stopping by. Have a blessed day. 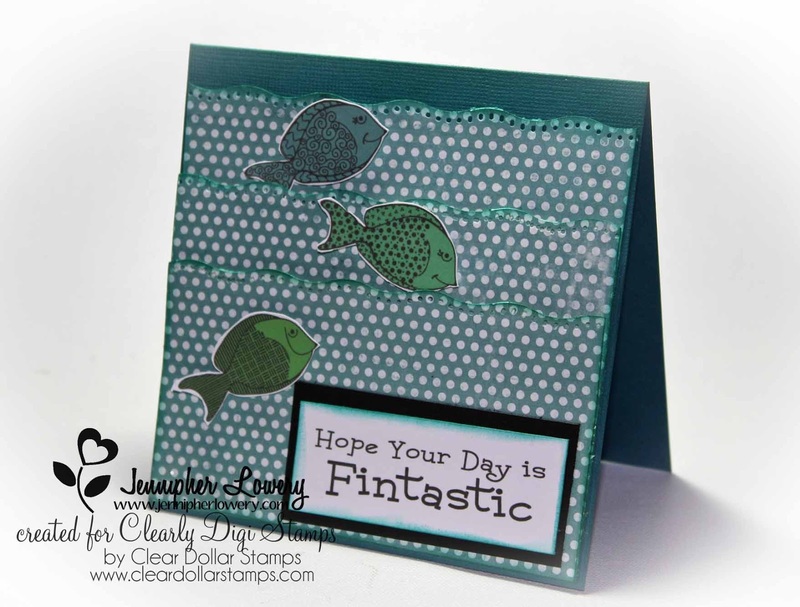 Love the fish card. The waves really make it great! Your card has become really fantastic. I smiled when I saw those little fishes. They are really cute. I like your design with those waves very much. I think everybody who had the chance to have a look at those fishes will start the day with a smile as well. The other card is also a very nice one. Your design is excellent and the colours you used are looking very gorgeous. I love this card too, but I prefer the first one. 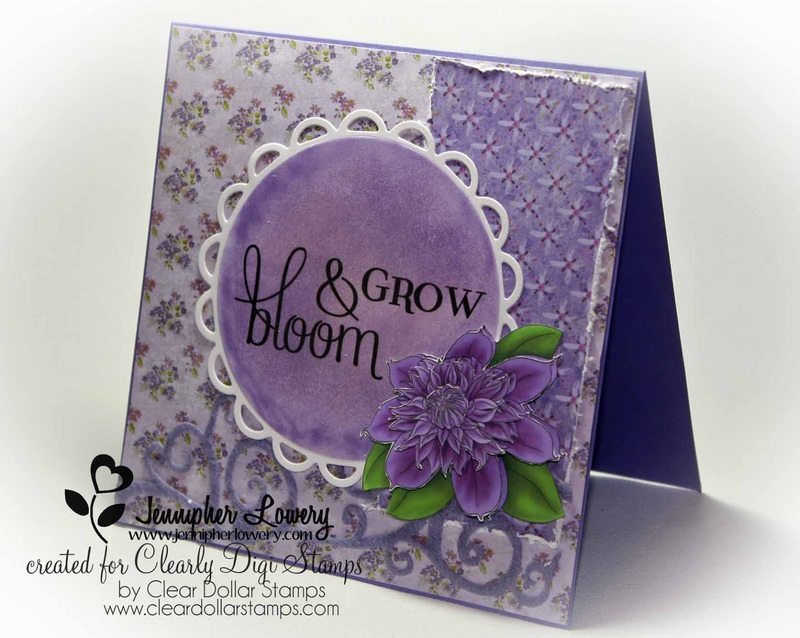 Great cards, but I absolutely LOVE that purple one!! SO beautiful! Great job! Beautiful cards, those digis are so cute! Beautiful cards. 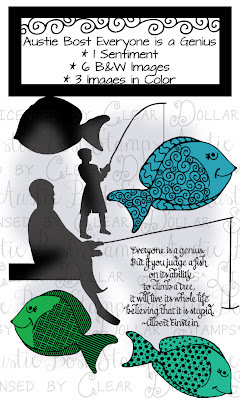 The fish card is great. You've got some really pretty cards, but I just love this one with all the purple and the beautiful flower.